There is no shortage of “ghost towns” in Delaware. Between Ellendale and Greenwood alone there are three – Banning , Owens Station, and St. Johnstown – that were once stops on the Queen Anne Railroad, and which disappeared after the railroad failed. There are other such places across the state, but for the most part they are not like Western ghost towns, with buildings still standing, tumbleweeds rolling, etc. Delaware’s ghost towns are known mostly from old postcards and historical accounts, with few if any structures or signs present to indicate that a community once existed at a particular location. There are numerous pages out on the Internet that provide information on Delaware’s vanished towns: this article will focus on one of particular interest in Milton history: New Market. 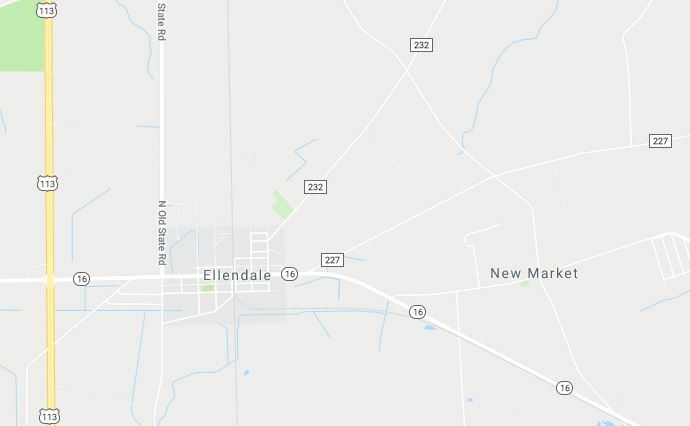 The former village of New Market, located about a mile east of Ellendale, was never populous, but it had its own church and was settled in the 18th century, much like its larger neighbor Milton. Driving on Reynolds Pond Road down to Rt. 16, through the heart of what was once that little village, there are only two indications that it ever existed; one is a mobile-home community named New Market Village, which at least bears the name of its antecedent, and a small graveyard in need of attention. 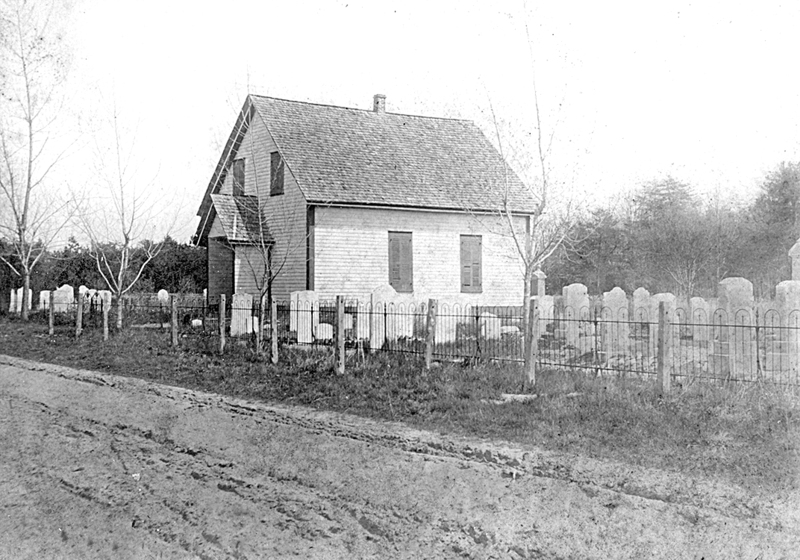 That graveyard, on Reynolds Pond Road just beyond its intersection with Holly Town Road, is all that remains of New Market Church and the community it once served. Lacking a Delaware State Historical marker, the cemetery has a stone that identifies the former site of the New Market Church, as shown in the photograph at the beginning of this post. I ran across two photographs in the Milton Historical Society that were taken of the New Market Church in 1908 and 1920, with the latter showing much of the cemetery. So what do we know about New Market? Much of that knowledge can only be inferred from the few scraps of information available, and most of those scraps are related to New Market Church. The stone marker pictured at the top of this article gives the year the church was organized as 1810; the surrounding community, of course, would have been around longer than that. Frank R. Zelbey, in his 1947 book The Churches of Delaware, provides a sketchy history of the church that also provides information about New Market. According to Zelbey, the initial church organization meeting on September 8, 1810, was held in William Morris’s home “near Elias Lofland’s store.” At this meeting the church was initially named “Wesley Methodist Episcopal Church,” but land for a church building was not available until Elias Lofland donated 60 perches (about 1.33 acres) for a church site and graveyard “along the road to Nathan Reed’s Mill” on Prime Hook Creek. The first church on the site was built and a graveyard laid out shortly after the acquisition, but that building was replaced twice, once in 1850 and again in 1881, with more land acquired in 1858 and 1903. What this history seems to say is that there was a growing congregation in the community which required an improved church building as well as a larger cemetery. Two other sources – Thomas Scharf in his History of Delaware and Rev. Adam Wallace in his memoirs – characterize the members of the New Market Church as “shouting Methodists.” That is to say, there was a fervor in the New Market congregation distinct from a perhaps more staid version of the faith in larger, more “cosmopolitan” Milton. Scharf also states that ca. 1888, when his history was published, New Market Church was well attended. The church and cemetery were still active, but it appears from the lyrics that New Market was in some kind of economic or demographic decline. It is hard to tell which came first, but with Ellendale’s main street close by and Milton’s just a few miles down the road, it is not hard to imagine how competition from the larger neighboring towns could have made it tough for a store and a blacksmith to remain viable. What is uncertain is why the population declined to the point of vanishing, and when that decline began. We know from David A. Conner’s weekly Milton columns in the Milford Chronicle that in the first two decades of the 20th century New Market residents regularly visited Milton, for social or shopping purposes, and S. J. Wilson & Son served many of them as undertaker when they died. There was no mention of problems in the New Market area during that period. 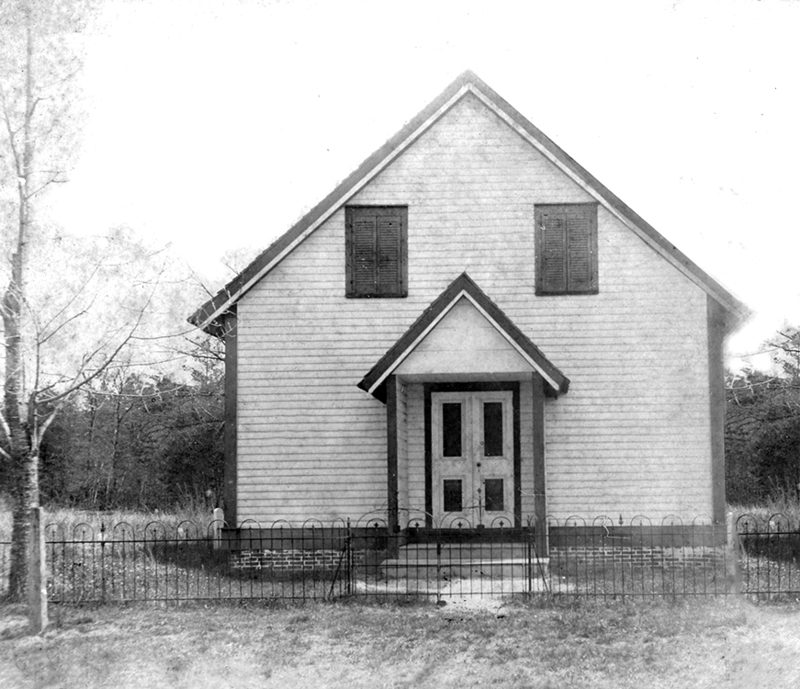 Frank R. Zelbey relates that New Market Church in 1947 stood on a dirt road (the present day Reynolds Pond Road), and had been defunct since 1936. In actuality, the church was not probably no longer active as a house of worship beyond 1931. It was in the Methodist Episcopal charge that included the Ellendale, McColley’s, and Union Churches. From the Ellendale news letter in the Milford Chronicle, we know that in the late 1920’s and early 1930’s services were held every two weeks at New Market Church, but by mid-1931, the column was no longer reporting any scheduled services there. Some of the congregation lingered on. For example, the New Market Women’s Society for Christian Service (W. S. C. S.) remained active, but met at the Ellendale church or in members’ homes. 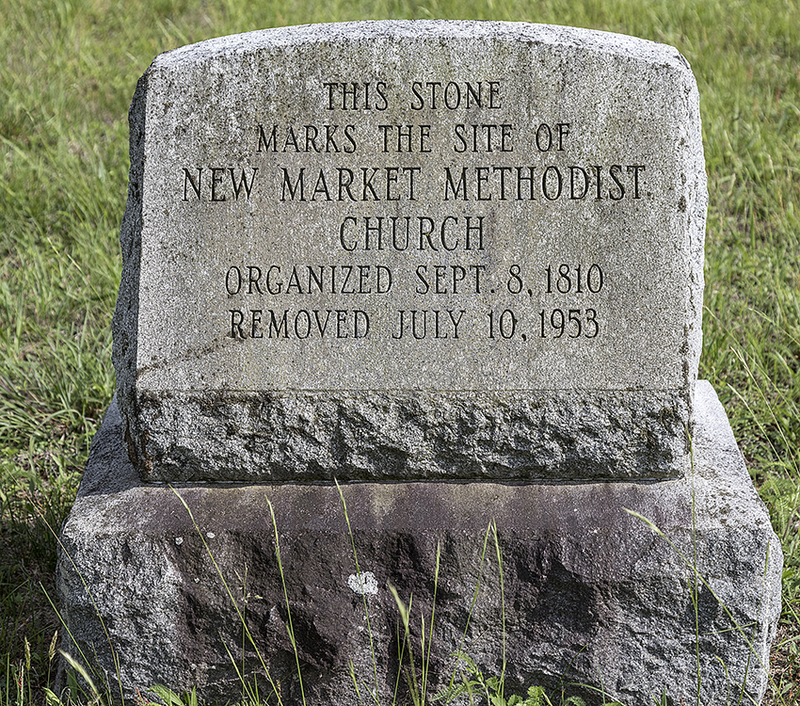 According to the marker stone at the site of the old New Market Church, the structure was “removed” from its site in 1953. The last burial in the cemetery appears to have taken place in 1959. Today, a number of headstones have toppled over, while others are too worn from exposure to the elements to be readable, and the grounds need tending. 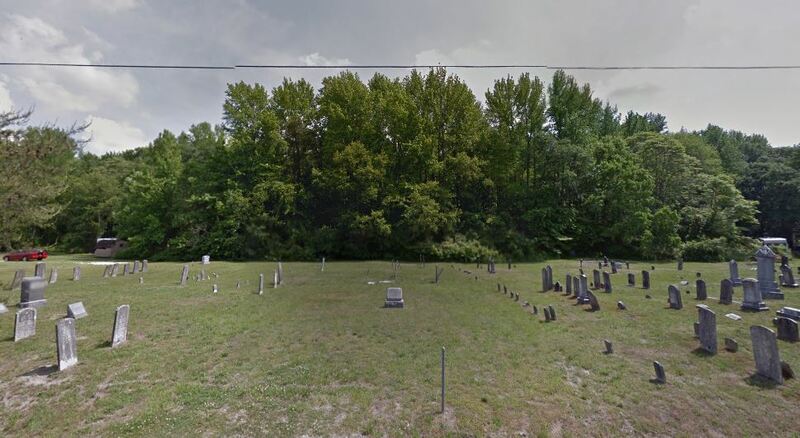 140 entries at New Market Cemetery have been made to FindAGrave.com, but that does not represent the full population of the interred. 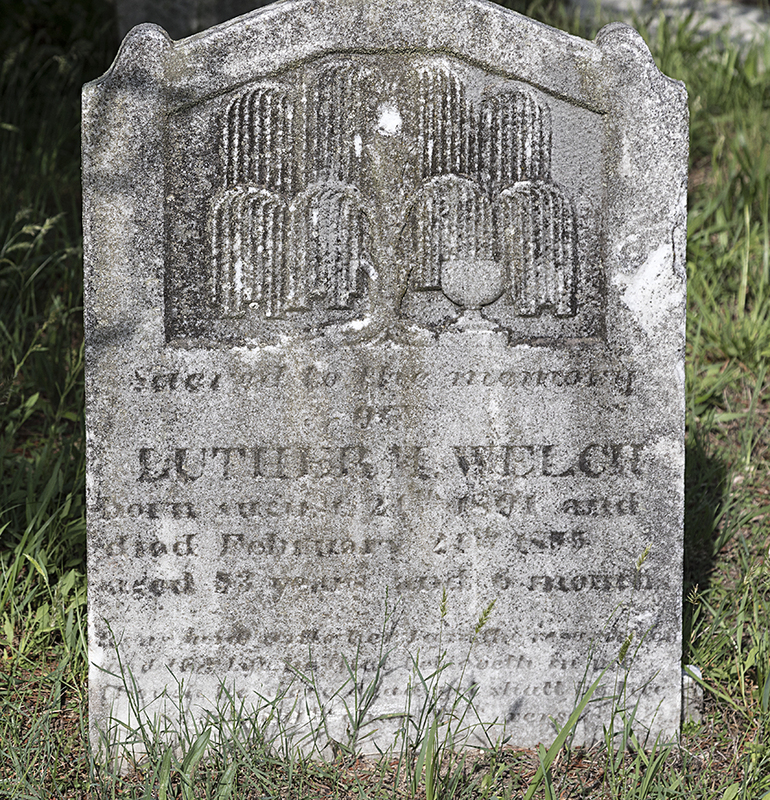 Many of the oldest headstones have a willow tree engraved on them, a practice that was popular in the first half of the 19th century. Aside from the obvious symbolism of weeping and mourning, there are abundant other theories as to the meaning of the symbol, including a reference to the Underworld associated with Orpheus carrying a willow branch as he descended to Hades to retrieve Eurydice. Along the roads of the former community, only mobile homes and ranch houses can be seen today, all of them dating from the 1960’s or later. I invite any reader with knowledge of what transpired in New Market to contact me and fill me in, so that I can complete this short history and ensure the community is not totally forgotten. Scharf, J. Thomas. History of Delaware, 1609-1888. Delmarva Roots, 2001. DiPaolo, Joseph F. My Business Was to Fight the Devil: Recollections of Rev. Adam Wallace, Peninsula Circuit Rider, 1847-1865 by Adam Wallace. Tapestry Press, 1998. Mr. Martin: Have you discussed New Market with Russ McCabe? I also remember reading a Welch Memoir in either the Milton library or the Dover Archives. I do not remember whether there was a reference to New Market. Carole, thanks so much for your interest! Is the Welch memoir that of J. B. Welch, or his son or grandson? It is the oldest Welch that would help with additional insight on New Market. I will check into that at the Milton library, and at the DPA when I can get up there. I think it would be a good idea to talk to Russ McCabe; I’ve read his Milton history multiple times and continue to refer to it, but it would be great to get background on New Market from him if he can provide it. I am in Rehoboth until Tuesday afternoon, but will check which Welch memoir I referred to when I get home to Lancaster this evening. It is the one that referred to the “wild Atkins’ sons” of Isaac and Barbary if my 83 year old memory is functioning today! Mr. Martin: I checked my notes. The privately printed book about 1902 by George T. Welch was entitled, “Memoirs of Mary Parker Welch.” George T. was her son. Again I am not familiar with the contents of this book or any other Welch memoirs, but I do remember they were quite detailed. I believe Mary Parker Welch lived through most of the 1800s. I had difficulty finding a copy of this book, but do believe the one I finally located was in the Dover Archives back in the 1970s. Phil, once again, you’ve provided us with a wonderful posting that we might never have known about. We enjoy everything you write about the area and feel so fortunate to have you here. I can’t wait to go check out the cemetery. Thank you and please keep writing. Thank you Judy – your kind words and feedback are always greatly appreciated! This story of New Market Village and church has been so interesting. J.B. Welch was my great grandfather. His grandson, John B Welch was my grandfather. We spent all our summers as children in Broadkill and Rehoboth. I have copies of the hymns that J.B. Welch wrote. I sing in my church choir, St. Bartholomew’s Episcopal Church, Cherry Hill, NJ. I showed the music to our choir director, and one of our members sang one of them in church as a solo. “He Knows, My Father Knows”. I will be down there this summer, will try and visit the New Market cemetery.